Mother Nature demands respect and we have to ensure that its landscapes and inhabitants get most care and attention. 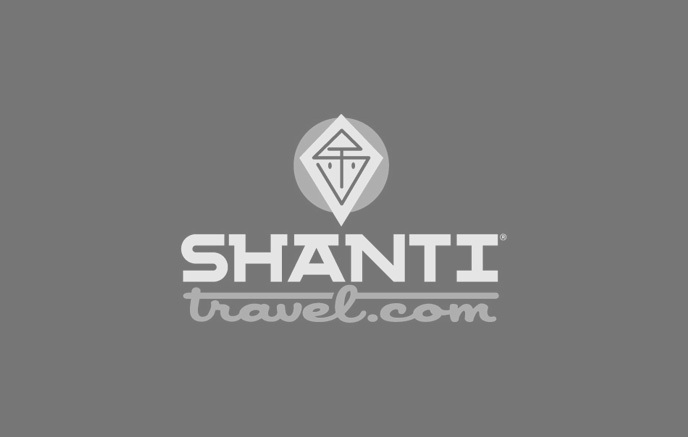 Shanti Travel is and will always be committed to respect the natural and cultural environment and is a member of Eco-tourism Society of India. We pledge not to leave our footprints on the soil of places visited, not to influence local people with our western way of life, and therefore we request you to do the same when you travel. We believe it's a way to participate in a sustainable and harmonious development of our Earth. Be humble and kind with the people you meet on your way. For instance: Refrain from photographing people without asking them first, or wear clothes that can be provocative. Ensure that while leaving a place, it remains clean. Do not distributing pens, candy or other gifts to kids as this may encourage begging. On the other hand you might want to give donations to local schools or associations that ensure equal and judicious distribution. Adherence to these principles should be everybody's concern, and we encourage you to kindly report to us any matters that you consider contrary to the values we stand for. In addition to respect for the natural and cultural environments, Shanti Travel is also committed to sustainable development by developing long term relation with local service providers. For instance, we ensure that our local partners get proper professional training and fair salaries. September 2009: "Cleaning trek" in the Rupshu around lakes Tso Kar and TsoMoriri. Subscribe to our newsletter and get the latest offers and news on our Asia travel departures!